This post covers the basics of ad networks, including strategies for boosting earnings and running effective experiments. We’ll touch on a number of the large ad networks, but focus on the dominant player: Google AdSense. What Are the Top Ad Networks? What’s the Best Ad Network for Your Website? If you’re a blogger or publisher looking to monetize a website via display advertising, odds are that you’ll come in contact with Google AdSense at some point soon (if you haven’t already). As one of the easiest ways to turn pageviews into ad revenue, AdSense has been used by a wide variety of entrepreneurs seeking to make money from Web properties. AdSense has become tremendously popular for a few reasons; in addition to being relatively easy to use, it’s generally regarded as the ad network that offers partners the best monetization opportunities. That’s the result of both a deep bench of advertisers and a relatively generous revenue split that allows publishers to take home most of the money their sites generate. If you’re thinking about signing up with AdSense to generate some money from display advertising, here’s a quick primer on how everything works. 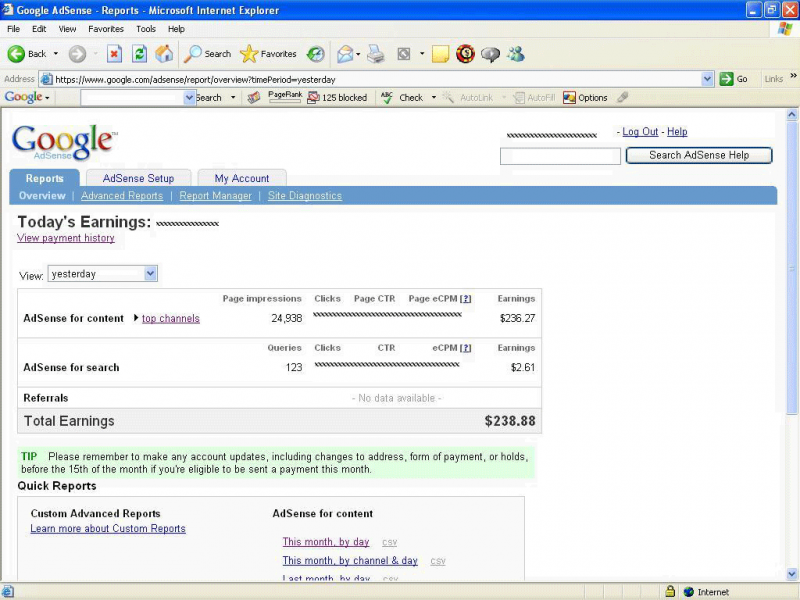 AdSense is an advertising network operated by Google. Google acts as the middleman, connecting buyers of ad inventory (i.e., advertisers) with sellers of ad inventory (i.e., publishers of websites that show display ads). Advertisers come to AdSense and effectively ask Google to serve their ads on websites that meet certain criteria (e.g., are focused on consumer products). Publishers come to AdSense and effectively ask Google to show ads on their site that meet certain criteria. AdSense matches up advertisers and publishers, and as a result visitors to many sites out there see advertisements when they arrive on a site. So why do publishers have a need for networks such as AdSense? In a perfect world (from a monetization perspective at least), you’d work directly with advertisers; you’d agree to the terms of an advertising campaign, and they’d cut you a check for their entire spend each month. Many publishers, however, don’t have the scale to satisfy larger advertisers. In other words, it doesn’t make sense for Coca-Cola to negotiate directly with thousands of smaller publishers offering 25,000 impressions monthly. It’s much easier to sign a deal with AdSense that lets them buy 250 million impressions over a number of different sites. There’s a time save on the side of the publisher as well; instead of investing time and money in building out a sales force, they can apply for admission to AdSense, flip a few switches, and be up and running. In that sense, AdSense is like a mutual fund for publishers; it lets them achieve immediate scale and visibility (by pooling their inventory together with other publishers) to advertisers that they wouldn’t get on their own. Getting In: In order to start generating revenue through AdSense, you’ll first need to get approved. To start that process you’ll need a Google account and a website to submit. If your site complies with the standards Google sets forth (i.e., you’re a quality publisher and not a spammer), you shouldn’t have any issues getting approved. Revenue Split: AdSense makes money for Google because the earnings generated are split between network and publisher. The split is rather favorable to publishers; you’ll collect 68% of earnings generated from content ads and 51% of earnings from ads shown on search results. Getting Paid: AdSense earnings are generally paid out within a month of being earned, either via check or direct deposit. There’s a more thorough guide to all things AdSense put out and maintained by Google; check out that guide for a more in-depth overview of all the issues that impact partners. Don’t exceed the limits on ad units. 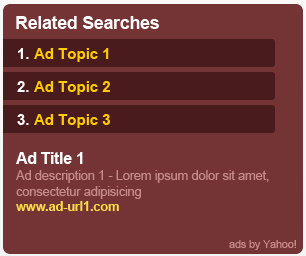 There’s a strict limit in place on the number of ad units you’re able to show on each page. Don’t include more than three ad units, three link units, and two search boxes per page. Don’t share too much about your success (or lack thereof). The AdSense terms and conditions also specify that partners do not make their earnings public. That means no blogging about the CPMs your ads are generating or the amount of your recent check. Don’t click your own ads. Clicking on your own ads–which is effectively trying to steal from advertisers appearing on your site–might be the best way to get banned from AdSense. Don’t use deceptive practices to drive clicks. Besides the obvious “cheat” of clicking your own ads, there are other ways publishers can try to trick their visitors into clicking on their AdSense ads. For example, putting ads under a heading that reads “Features” might lead viewers to believe they’re navigating to a set of tools on your site (when in fact they’re clicking an ad). Basically, don’t be deceptive in your placements, and you’ll be good in the eyes of AdSense. Do take advantage of the tutorials out there. Google wants its partners to be successful and monetize efficiently; the more money you make via display advertising, the bigger their cut. So it should be no surprise that they have published a ton on best practices, and also maintain a regularly updated Inside AdSense Blog. Do experiment with different layouts and implementations. You have a lot of control over what ads show up on your site and how they’re displayed. Experiment with different settings to come up with the combination that’s best for you. We have several ideas if you’re looking for inspiration. Check out our list of Three Easy Ways To Make More Money With AdSense, and if you want even more try Seven More AdSense Experiments To Boost Your Earnings. AdSense is a component of the “revenue equation” for thousands of smaller bloggers and publishers out there, in many cases accounting for a significant portion of total earnings. The experiences of various AdSense users are all very unique, and depend in large part on the investment made and research done to implement properly and the ongoing optimizations made. The number one rule of AdSense is to always be experimenting. In a recent blog post we laid out three simple AdSense experiments that can be run without any development work–the simple tasks that can help you get your feet wet and understand the concept of optimization. We’re moving away from the shallow end of the pool with a few more advanced suggestions for AdSense experiments you can try out in the quest to find the optimal lineup for your website. Read the seven AdSense experiments to help boost your earnings. Google AdSense is one of the most common ways for many website owners to monetize their traffic, generating revenue through display ads served to visitors. And if you are using (or have used) AdSense, odds are that you’re familiar primarily with the “recommended” ad units that most commonly appear on AdSense sites: the 300 x 250 medium rectangle, 728 x 90 leaderboard, etc. The recommended ad units are recommended for a reason; they are the most commonly produced by advertisers, meaning that publishers will get the highest fill rates and more competitive bids for available inventory. But they’re not the extent of the AdSense universe; there are several more ad unit options that can be used to mix up your site layout or as potentially more profitable alternatives to the traditional units. Below we look at three less commonly used AdSense units, and show how other websites are using them to effectively monetize their traffic. The 300 x 600 has become increasingly popular in recent years, but is still not used nearly as widely as the primary AdSense units. Utilizing this ad unit will generally increase the amount of real estate you have dedicated to ads on your site; if you have a site layout that won’t be compromised by doing that, this one might be worth testing out. How to Use It: The easiest way to implement a 300 x 600 is to replace existing 300 x 250s, generally within content on either the right or left sides. Here’s an example from political site The Hill. 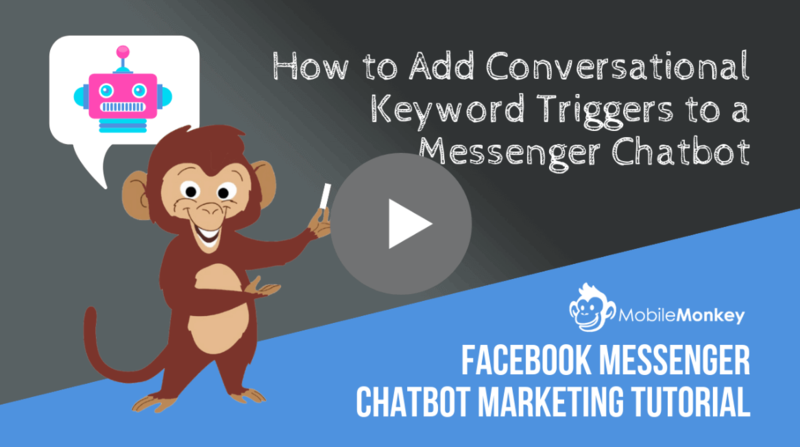 The 300 x 600 has the advantage of allowing you to serve more text ads per page; this unit will include up to six text ads, as opposed to three or four with a rectangle. (Note however that there’s a limit of one 300 x 600 per page.) Arun at Skipser has a good overview of the 300 x 600, including how it stacks up to the more traditional 300 x 250. Integrating ads more closely into your content is one of the easiest ways to ensure that your visitors see (and click) them. Instead of putting ads in “banner blind” positions such as the left or right rail, many sites put them right in between big chunks of content. The 600 x 125 rectangle is one unit that fits nicely within articles or other text-heavy content. How to Use It: The beauty of this unit is that it can be positioned within most content without sticking out too much. This size is useful for inserting into articles, disrupting the user experience and making it more likely that they will see the ads you’re serving. Here’s an example from the Chicago Tribune. This is one of the newest AdSense units, rolled out within the last couple months. It’s probably far too wide for most sites, but can work for those that take up the entire width of a browser. Note that this ad unit will still be able to serve 728 x 90 ads, so implementing it in place of a more traditional leaderboard will not reduce the demand for your inventory. In fact, it seems that right now these ad units are primarily showing 728 x 90 ads. How to Use It: This ad unit is best used as a replacement / alternative to traditional 728 x 90 leaderboards. Since this ad unit is very new, there aren’t many examples out there yet. And where they are enabled, Google is mostly serving traditional 728 x 90s. 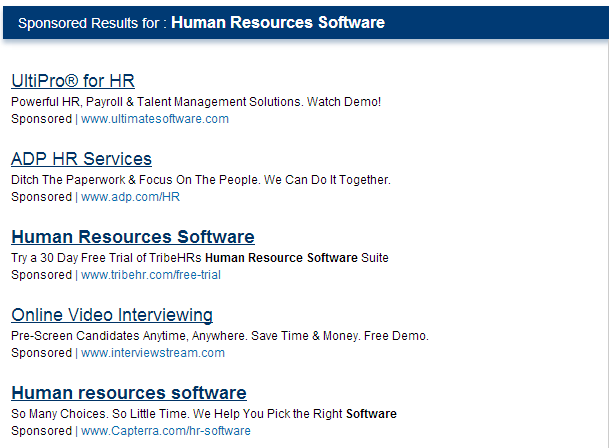 But a few early adopters already have this ad unit in action. If you have a wide site that can accommodate this unit and turn on text ads, you will be serving more ads per page with this unit (Marketing Land has a sample of how that would look). Again, there’s very little downside for wide sites here since Google will default to a traditional 728 x 90 if it can’t fill the space with a “large leaderboard”. 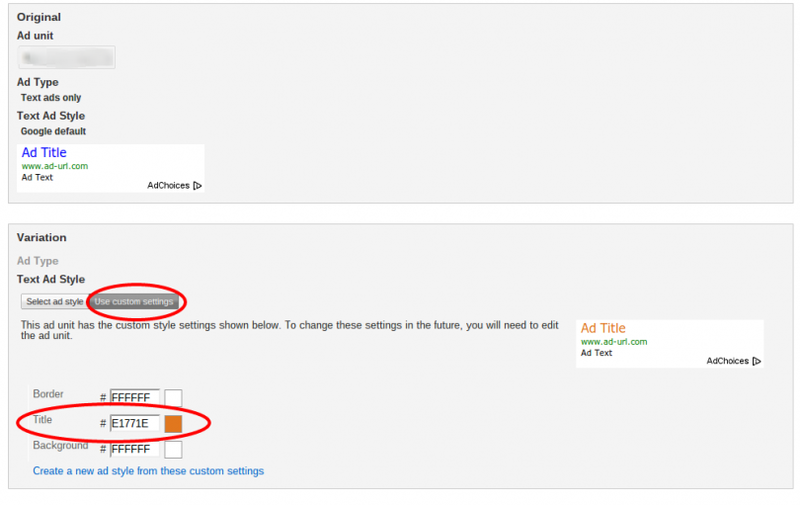 Here’s the post from the Official AdSense blog announcing the introduction of the 970×90. When setting up a site with AdSense, most publishers gravitate toward the traditional ad units. In most cases, that’s probably the right decision. But a lot has changed since the first generation of ad units made their debut; there are now a number of innovative offerings that have the potential to attract more clicks and increase earnings. In the haste to improve earnings, keeping track of your tweaks probably seems like a boring administrative task (because it is a boring administrative task). But it’s important to document what you’ve tried and the extent to which it worked or didn’t work. Keep an “AdSense Journal” of every test you run, including details on the exact inputs (i.e., the settings you used) and outputs (the money you made and CPMs you generated). When running an experiment, be sure you know which metrics you’ll be evaluating afterwards to determine the impact of your changes. It may sound obvious, but total revenue is irrelevant since that depends on the number of impressions served. Cost per click (CPC) and CTR are also meaningless metrics in isolation, since each tells only half of the story. What you do want to consider is the revenue generated per 1,000 pageviews; this metric is a standardized reflection of what you earn for a fixed amount of traffic. If you have other sources of revenue such as affiliate links or lead gen widgets, you should also take into account the impact that any changes to AdSense has on these. Suppose the control delivers a CPM of $5.00 compared to a $6.00 CPM for the variation. You know that the variation worked better, but have no idea which variable really drove the chance. It’s possible some of the changes made hurt your earnings, but were offset by the positive impact of others. The goal of an experiment is to determine the impact of changing a single variable–not the impact of making wholesale changes. Change one variable at a time, or else you’ll end up with no idea which one actually drives the changes. In the rush to arrive at the optimal AdSense settings, there can be a temptation to draw conclusions from experiments before they’ve had a chance to deliver meaningful results. Specifically, monetization experiments need to accumulate a large enough sample size in order to be confident that the results you’re seeing are truly indicative of what can be expected going forward. Make sure the conclusions you reach are statistically significant, or else you risk embracing the wrong optimizations and hurting yourself in the long run. For more on this topic, Paras Chopra has a good article that includes a free tool. 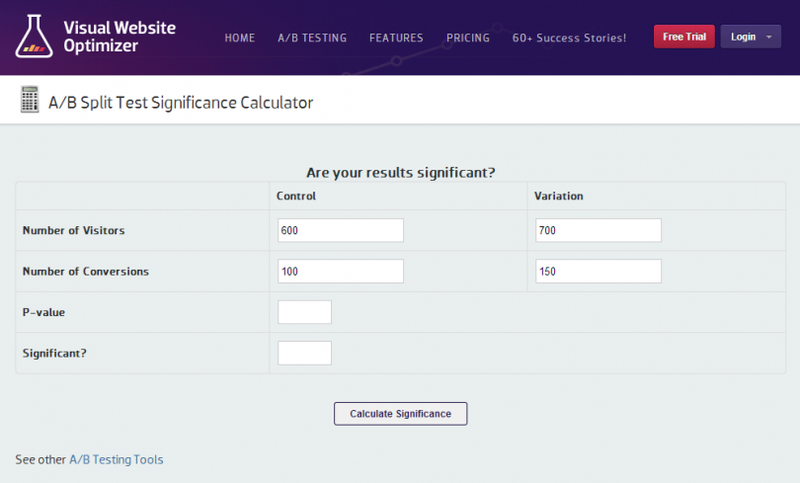 Get Data Driven and Visual Website Optimizer also have nice free resources for calculating statistical significance. These tools are designed to measure significance of split testing, but can be used to determine the significance of your AdSense experiments as well. Don’t feel the need to make wholesale changes to your ad units to see an impact. Sometimes the subtle changes–using a different font or moving from a dark blue to a light blue for links–are all it takes to see a material change in earnings. There’s nothing wrong with small, precise steps; as a result, you’ll know the exact impact of changing a relatively minor variable. Inevitably, you’ll come into the experimenting process with preconceptions about which variations you think will “win” and which you think will “lose.” There’s often a hesitation to run experiments that include layouts or creative combinations that we feel will be ineffective (often because they’re ugly). There’s an old football maxim, “That’s why they play the game.” That applies to display ad monetization as well: there’s a reason you run the experiment. Sometimes, the underdog will win and surprise everyone. There’s no shame in having your gut proven wrong–especially if it makes you more money in the process. When you start testing AdSense layouts, you’ll probably be expecting immediate wins and constant improvement. But that’s not how if works. In fact, there’s a very good chance that your first AdSense test will lower your earnings. And that’s completely fine. Don’t get discouraged when consecutive experiments result in big CPM declines. That shows that the process is working; the changes you’re making are having a meaningful impact on earnings–even if it is in the wrong direction initially. Take it as confirmation that the tests you’re running can produce meaningful results, and not as an indication that you should quit. The key to AdSense success is experimentation; the most efficient publishers are always testing something, and always looking to make slight improvements to their earnings. The keys to good testing are outlined above; it’s important to stay disciplined in your experiments and get creative in the approaches you take. If you’re looking to monetize your Web traffic through advertising, there are a number of different opportunities out there. If selling direct to advertisers is neither practical nor possible at present, utilizing an ad network to fill your inventory is likely the most effective alternative. The hard part, of course, is knowing which ad network will be the best fit for monetizing your site, app, or other Web-based asset; for most publishers, there are dozens of networks that would love to have your business. We’re here to help: we’ve categorized and reviewed the top ad networks! In 2013, Google introduced a great new feature in its AdSense program that allows publishers to scientifically experiment with settings in order to maximize their revenue from display advertising. While it’s always been possible to run these types of tests, it previously required a bit more work in order to track results and determine statistically significant conclusions. The new interface makes it easier than ever to set out on a quest to find the absolute optimal settings for your site. Failure is OK. In fact, most of your experiments will probably lower your earnings. That’s perfectly fine; in fact, it means that this process is working! You may need to be patient. Especially if you don’t have a huge site, it may take a while for data to collect and your earnings to show significant change. The boost may not be enormous. Don’t go into this expecting to get rich overnight. Thorough experimenting with settings isn’t going to double or triple your AdSense revenue immediately. Hopefully, you’ll see an improvement of 10% or more that gradually turns into more money over the course of months and years. With that out of the way, let’s dive in. Here are the instructions for how to set up an experiment within AdSense. For banner ad units such as a 728×90 or a 300×250, it’s possible to activate a setting that ensures only image ads will serve. This is commonly done in order to present a higher indication of quality on-site: image ads make your site look better than text-heavy ads that can clutter up the space. The rub is that text ads often perform much better than image-only ads. 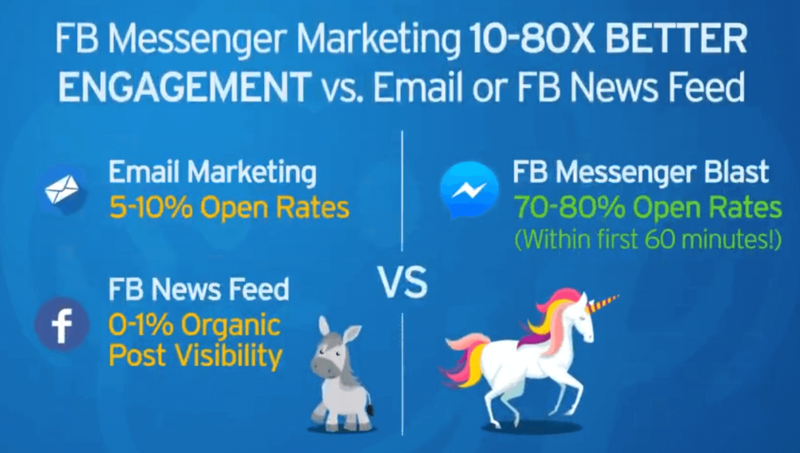 Words generally do a better job conveying the call to action and value add than an image, which means that text ads get a higher click rate than image-only ads. With the new experiments interface, you can figure out just how big this difference is. Set up a new experiment targeting an ad unit (for example, a 300×250 rectangle) that is currently set to display only images. For the variation, allow both text and image ads. You should see an improvement in earnings almost immediately, forcing you to make a decision about how much the quality associated with image-only banners is worth to you. Try similar things with the background; for example, start with a bright color combination that will stand out and ensure that visitors’ eyes are drawn there. This ad unit probably won’t perform all that well, but it will demonstrate the impact that extreme color schemes can have on click rates and earnings: Again, this type of experiment may not yield immediate fruit but it will help you to quickly understand how these changes to the color scheme can have an impact on performance. You will have to make a decision about how to split the traffic between your original and variation. The easiest and most effective choice is to simply let Google do it for you; their algorithm is more advanced than you’ll be, and will make the experiment process a bit simpler. Keep that box checked, and start your experiments. We’d also suggest that you limit the number of variations in your experiments so that you’re able to pinpoint the factor that has an impact on performance. If, for example, you change the link color, border style, and background color all at one, you’ll be dealing with three variables simultaneously. You won’t know which, if any, had a positive or negative impact on earnings. It’s possible that the overall change is negative, but one of the variables had a positive impact. The impact of experiments will vary for each site, and you’ll never improve your earnings potential if you don’t start somewhere. There are countless variations that can be tested on your site; hopefully the ideas above give you a place to start as you seek to improve your overall AdSense earnings. This is a question that’s been asked by millions of website owners and online entrepreneurs over the years. While there are a number of different monetization methods available–such as affiliate marketing and e-commerce–most online properties generate a substantial portion of their earnings from display ads served through networks. Earnings This is obviously the big one; the more an ad network pays out for every impression you serve, the more attractive it is. Ad Quality For many publishers, ad quality is equally as important as the bottom line earnings figures. Most publisher would prefer to serve clean, quality ads from premiere brands instead of the sleazy “one weird trick ” ads that seem to be everywhere now. Ease of Setup Some networks make it much easier than others to get up and running. The amount of time and assistance from signing up to serving your first ad can vary dramatically across networks. For publishers who don’t have extensive technical skills, this factor can be particularly important. Customization Options Some ad networks give their partners the ability to customize almost everything about their ads, from the size and shape to the types of ads allowed to run. Others offer almost no customization opportunities; you can either run their ads or not. Reporting Detail This feature is more important for publishers planning to spend a meaningful amount of time optimizing their ad implementations; better reporting makes it easier to see what’s working (and what isn’t) and spot opportunities for improvements. Before we dive in to some specific recommendations, we should give a brief overview of the ad network landscape. There are hundreds (perhaps thousands) of ad networks operating currently. Most of them are generally worthless, offering very limited earnings capabilities with clunky user interfaces and limited transparency. We’ll focus below only on the higher quality ad networks that, in our opinion, are actually worth using. These opinions are based on our personal experiences with each of these networks, and provided objectively. There will of course be publishers who have had different experiences, or who may have had some success with networks we don’t even cover here. If so, we’d love to hear about it; leave a note in the comments. To make a broad generalization, there are two ad networks that are head-and-shoulders above the rest: Google AdSense and Media.net. These two networks maintain the deepest pools of advertisers and seem to have the best technology, resulting in relevant ads served and high payouts to publishers. Earnings: AdSense generally offers the best CPMs of any ad network. This is attributable to a number of factors, including: 1) generous revenue split (68% to publishers); 2) deep pool of several million advertisers; and 3) superior technology that serves relevant and targeted ads. While CPMs vary by site and niche, AdSense will generally beat all other options. Ad Quality: Google has fairly high quality control thresholds, meaning that the ads running on AdSense are generally not spammy or low brow. There’s also a dashboard that allows publishers to block specific advertisers or entire niches (e.g., personal fitness products). Ease of Setup: While you’re unlikely to get any assistance from a human, the process for getting approved and completing the initial setup is easy enough. There’s a massive amount of documentation around the ad setup process, though some degree of technical knowledge is required. Customization Options: One of the major advantages of AdSense is the extensive control publishers have over ads. Tweaking the type, color, and size of ads is a pretty straightforward process. Reporting Detail: There is also extreme customization available within the reporting interface, allowing publishers to get data on just about anything they would want. For both large and small publishers, it is very hard to beat what AdSense has to offer. In our opinion, no other ad networks do; AdSense is the most popular for a reason. Biggest Advantages: Competitive earnings, extreme customization options. Deep pool of advertisers + superior technology = relevant ads, higher earnings. Biggest Disadvantages: If you do have any questions about your AdSense account, getting in touch with someone to help you through them is next to impossible, though there is an impressive amount of documentation and a number of active forums. Read our in-depth review of Google AdSense. Earnings: Media.net isn’t always mentioned in the same breath as AdSense, but the earnings capability here is just as good. This network will earn many publishers equivalent or even better RPMs relative to the Google display ad network. Ad Quality: The implementation of the keyword blocks shown above may be a bit of a turn-off to publishers who would prefer to see image-only ads. While Media.net has a deep pool of premium advertisers, the appearance of the ads isn’t necessarily great. Ease of Setup: Getting approved for Media.net is a straightforward process, and getting ads up and running is very straightforward as well. Customization Options: Media.net gives publishers a fair amount of control over how their ads look on the site, presenting options for selecting style and color. There is no control, however, over the specific advertisers and niches that appear within your site. Reporting Detail: The reporting for Media.net is a bit delayed, which can be frustrating. But otherwise, the granularity is pretty good (though not as detailed as AdSense). Read our in-depth review of Media.net. 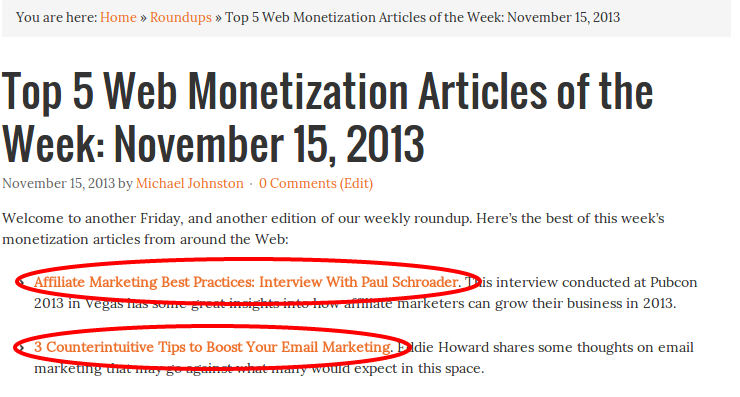 Media.net does do some things better than AdSense. Publisher support is a great example; even small publishers have no trouble getting in touch with a human being to help troubleshoot issues, something that is next to impossible with AdSense. If you don’t have the time or interest in attempting to maximize your network earnings, Media.net may be worth trying out as a primary partner. If you have an audience of a decent size, you should be able to get optimization suggestions from an account rep. Those suggestions, which can translate into meaningful increases in earnings if implemented properly, aren’t going to be made available to the vast majority of AdSense publishers. We have put together an expanded list of ad networks; if you want to see more options, check out Top 25 AdSense Alternatives for 2014. BuySellAds: We’ve mentioned this site before as a great resource for intelligence on CPM rates. Publishers can list their inventory here, and interested advertisers can find it by searching through different niches and topics. Judging by the number of “Sold Out” placements on this site, publishers seem to have decent success in getting hooked up directly with Advertisers have the option to spend anywhere from $100 to $100,000 per month on this site, so there’s a chance to get in front of both big and small clients. iSocket: This platform is similar to BuySellAds, functioning as a marketplace where media buyers can browse higher quality publishers and purchase ads on a specific site. Publishers are able to set rates for certain ads and packages on their site, and will then receive a message when interested advertisers want to book that position. Open an AdSense account, create your ad units, and get them running on your site. Open a Media.net account. Start serving Media.net ads in one or two of the units that was previously running AdSense. Experiment with the settings (color, style, etc.) of these Media.net units until you find a combination that generates the highest RPM. Create AdSense link units and add them to your site. Add a Custom Search Engine to your site. Create a profile with an ad marketplace (BuySellAds or iSocket), and list your inventory there. Experiment with other ad networks (Chitika, Kontera, etc.). We doubt any will beat the baseline you’ve established with AdSense / Media.net, but ongoing experimentation is always a good idea, particularly if you’re looking to supplement (rather than replace) AdSense and Media.net revenue. Read our guide on 101 Ways to Make More Money With AdSense, and optimize where appropriate. What about Commission Junction? I’m switching most of my Adsense ads in rotation withe ones from CJ.com, showing less Adsense and more CJ.com, and earnings are very good – even if my site is not in English! Yes, finding the right programs and ads in CJ.com is kind of tiring, they do not have a good search and filtering way to do it, but it’s worth the trouble and time. Last month, I earned 3 times more with CJ vs Adsense. My next step is trying a CJ alternative called Performance Horizon, looks promising. I have tried twice in recent weeks to join up with BuySell ads. They have not responded to my two requests. I have 170.000 pages view per month. Do you think I’m too small to appeal to them? Even so, I wish they would at least acknowledge my request to join. Check back soon and let us know how you get on. Thanks for this. I just started a small blog. Let me try this. Can i use my pro website link google AdSense. We are pleased you enjoyed the post Carson. This depends on your location. For some countries you’ll need to have a website that is at least 6 months old. We have a video monetization post coming soon. Sign up to the newsletter and you’ll hear about it then. Thanks for sharing this unique set of ideas. I started blogging recently and I want to know if I can apply for adsense as my blog is more than 3 months old with great contents. Thanks for your comment. Every website will be different and you are doing the right thing by testing. Once there is a clear winner, try testing again against another ad network. Always be testing! Let us know how you get on and thanks for reading! I’m currently split testing AdSense vs Media.net already and AdSense is looking like it will be the winner. Can’t wait to try some AdSense experiments of my own.